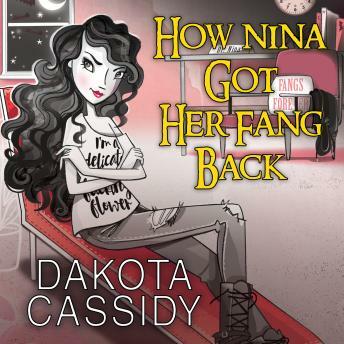 It's been a while since Nina Statleon-ex-coffin lover, current chicken wing lover-lost her vampire mojo during a particularly brutal OOPS case. Her friends Wanda and Marty are worried. Nina clearly hasn't dealt with the emotional fallout caused by losing one's immortality. She's got issues. Big issues. And it's time to call in the Big Gun-paranormal psychologist January Malone. Her friends will get Nina to the therapist's office, even if they have to lure her with the last bag of Cheetos in Manhattan. Of course, the girls couldn't possibly know that Doctor Malone has an agenda. A forced agenda involving blackmail, which may just save one life while ending another. It goes against everything January, a white witch, has ever believed in, personally and professionally. But the alternative means putting her trust in a foul-mouthed ex-vampire, her werewolf and halfsie friends, a demon, a zombie, a bear, and their assorted mates . . .